If you're looking for another sulit and affordable promo, try out the new TNT unli for only 1 peso or Php1.00. You can enjoy unlimited text for 30 minutes with a budget of P1 when you subscribe to PISO promo. 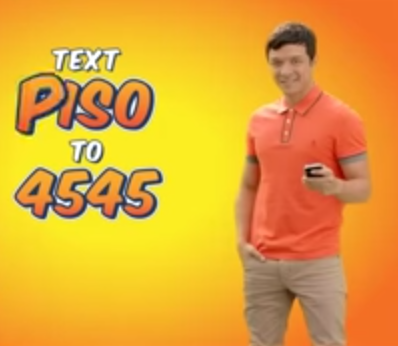 I’m sure you've already watched this ad on your TV, starred by TNT’s endorser Robin Padilla and Jericho Rosales. The new PISOUNLI only unlimited text to all your Talk N Text friends, love ones and fellow subscribers. Wait, with your peso unlimited you can also text to Sun Cellular and Smart SIM users. Another PISONET promo that you can enjoy with TNT is the P1 internet surfing using your mobile phone, USB broadband and Pocket Wi-Fi. All you have to do is turn on your mobile data and make sure you activate GPRS APN settings on you device. Update: Just text PISO send to 4545. PISOUNLI (send to 4545). Also PISOUNLITEXT, PISOPLAY aand PISONET. That’s it guys, just wait for the message notifications that you are already enrolled on the promo and don’t forget to maintain P1 balance while subscribe to this promo. You can text PISO to 4545 for more details. For updates you can check TNT’s websites and social media account or visit this blog to check out more about mobile promos.